In The Footsteps Of The Victorians. Aspects of change in the Wrey Valley and surrounding area 1837 – 1901. The Lustleigh Society and Individual Authors – 2018. Short Run Press Ltd, Exeter. Between 1918 and 1923 Cecil Torr published a series of books called ‘Small Talk at Wreyland’. In these books he gave various insights into the life and times of Lustleigh and its surrounding area during the Victorian and Edwardian eras. Now, most appropriately, exactly 100 years later ‘In the Footsteps of the Victorians‘ has been published which with the benefit of hindsight provides a greater insight into the life and times of the folk that lived in and around the Wrey Valley between 1837 and 1901. The book comprises of eleven chapter written by ten different authors. The some of the main topics covered are; the coming of the railway, population changes, occupational survey, Lustleigh’s Victorian high street, social life and leisure activities, mining, quarrying, Lustleigh landscape changes, schools, and the contribution of the Divett family. Many of the chapters are accompanied by various maps, old photos, diagrams and newspaper extracts. It is refreshing to see that notes, references and the occasional appendix accompanies each chapter. Throughout the book it soon becomes obvious how much impact on the area the coming of the railway had and its many implications. 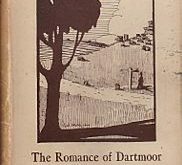 During this period and thanks to William Gilpen the picturesque movement became popular with many people in search of the idyllic landscapes of Dartmoor amongst other places. It could be argued that this along with the coming of the railways certainly made the area much more popular and accessible to a whole variety of people. This along with other factors meant changes came about all of which are studied in this book. The book was jointly funded by both the Heritage Lottery Fund and the ‘Moor than Meet the Eye’ scheme. The content has seen volunteers from various Dartmoor communities who have researched and written about the Wrey Valley and its surrounds during the nineteenth and early twentieth centuries. The project was inspired by a recent exhibition at the Royal Albert Memorial Museum whicH was held between December 2017 and April 2018. Copies of the book can be obtained from the Lustleigh Archive on its open days for £10 or by emailing Emma Stockley at emma@moorthanmeetstheye.org where the cost will be £10 plus postage and packing. This is a fascinating and authoritative book which easily merits a place on any bookshelf. For me, who enjoys learning about (what I term as) the halcyon days of Dartmoor it provides a thought-provoking and enjoyable read. If I have one minor quibble it’s the fact that there is no index for anyone wishing to find a quick reference ‘look-up’, but then again I can’t talk for such was missing from my Pilgrimage to Dartmoor’s Crosses book. Hearty congratulations must go to the various authors for their inspiring work and it’s certainly nice to see the Lottery Fund being put to such good use. Additionally the ‘Moor than Meets the Eye Scheme’ must also take credit for funding the publication. Get the book – you won’t be disappointed!